It's January. Let's forget the weather and think about the year ahead which can include spectating at an exciting racing venue or getting behind the wheel of your Porsche and enjoying the open road or at a region-sponsored event such as drivers education, autocross, driving tours and concours d'elegance. Happy new year everyone. Jan. 8 -- Milwaukee Region board meeting at Brew City Grill, 10250 N Cedarburg Rd., Mequon. Brew City is on Hwy 57 between County Line and Donges Bay. Meeting starts at 6:30 p.m. All members always welcome. 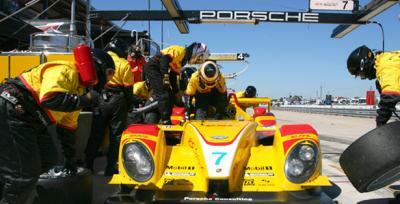 Jan. 24 and 25 -- 24 Hours at Daytona. Special offer for PCA members. Carrera Chili - Feb. 28 -- don't miss it! Hey chili afficionados, it's time to start perfecting your secret chili recipe and prepare to enter it in the Milwaukee Region's competition. That's right, it's time for Carrera Chili, the mid-winter classic that brings us together for good food, fun and conversation. This year Geoff and Stacey Wilde will host Carrera Chili at their home in Racine. The event is Feb. 28. The competition is friendly. The setting is casual. Judges will select the "best red," the "best white" and the "most creative" entries while all attendees will vote for "people's choice." 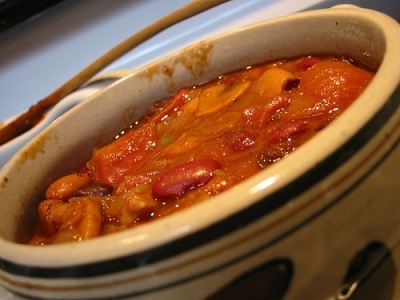 You don't have to enter a chili to participate; just bring a healthy appetite. All of the details including cost and RSVP deadline can be found here. John Brenholt, and his wife Anda Brenholt, who transferred from the Fox Valley Region with their 2006 Boxster. Aaron Hauschildt, who transferred from the Southeast Michigan Region with his 1985 911. The four directors rounding out the board are: Don Berchem, Jerry David, John Guy and Paul Stewart. You can find the contact information for all board members and committee chairs on this Web site under the Resources pull-down menu. Select Contact Information. The board is in place to represent members' interests. Contact any board member with your questions or ideas. New member Phil Cianciola shares the story of how he became the owner of a beautiful 911. Read it here. Al Wagner shares the story of how he met one of Porsche's most successful designers, almost in his back yard. Read it here. Planning a trip to Germany? Include the new Porsche museum on your itinerary. 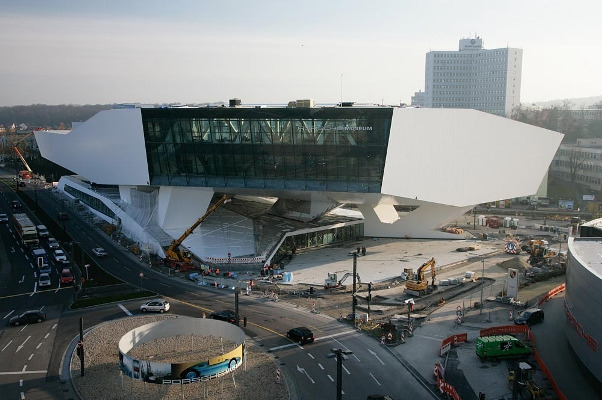 The new Porsche Museum is slated to open Saturday, Jan. 31, 2009. At last, now that the scaffolding has been removed, it is possible to see to the full extent the bold architecture of the building at the head office premises of Dr. Ing. h.c. F. Porsche AG in Zuffenhausen: The 5,600-square meters of exhibition space are supported on just three so-called cores of reinforced concrete – hence just seeming to hover in space. Inside the building the majority of approximately 80 exhibits are already in place. In the other areas of the new building – amongst them the museum workshops, the museum shop, the Porsche archive, an exclusive restaurant, a bistro and the capacious event areas – a team of experts are busy putting the finishing touches. Three days after the ceremonial opening, which takes place on Wednesday, Jan. 28, 2009, the doors of the new Porsche Museum will be flung open to welcome the first visitors. On a daily basis, apart from Mondays, the exhibition can be viewed for an admission price of eight Euros (approx. $11.13 US) (reduced price: four Euros – approx. $5.56 US). The restaurant on the second floor – which has both a view through the glass facade onto the Porscheplatz as well as through the glass partition into the exhibition itself – has its own separate entrance and is also open at hours different from those of the museum itself. With the new museum and its range of catering facilities additional capacity for conferences, company and private events in exceptional surroundings will come into being. We have already received hosts of inquiries. More detailed information is online at the museum Web site: www.porsche.com/museum. The annual holiday party in early December at Bristlecone Pines Golf Club was a relaxing way to close out the region's calendar of events. Check out the photo album and story here. Have you checked the data that Porsche Club of America (PCA) maintains in its membership records about you? You can review and change your own data by going to the PCA.org site. Scroll to the bottom of the home page and log in. If you have not created a log in, please follow the instructions to do so. Then check your membership record and make necessary changes. A portion of your record (name, e-mail address and car year and model) appear in a password-protected section of the Milwaukee region site. This section is for members only and can be useful if you want to reach another member. This data is also used when we send e-mails to all members who have an e-mail on record or when we send mail via the U. S. Post Office. If you need the log in and password to access the Milwaukee Region members' only section, please send an e-mail with your membership number to the webmaster, Bev Jurkowski, beverly.jurkowski@sbcglobal.net. Attention to detail is the hallmark of the assembly line at the Porsche Motorsports Center in Weissach. 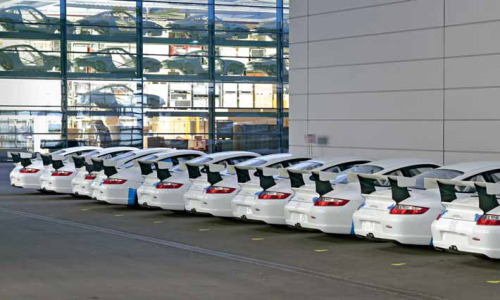 High performance Porsches are ready for delivery. 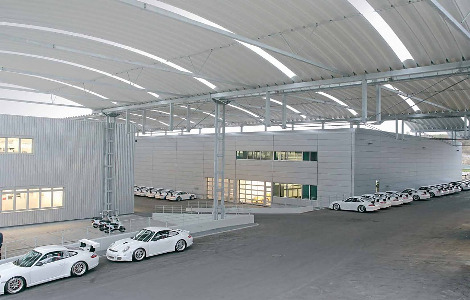 Weissach is an impressive complex where Porsche assembles the RS Spyder and 911 GT3 RSRs. Thanks to member Paul Roller for providing these photos. Submissions and ideas for future online newsletters are always welcome. Please send them to the region webmaster, Bev Jurkowski at beverly.jurkowski@sbcglobal.net.